Happy Birthday, Beverly Cleary! She is 97 today! 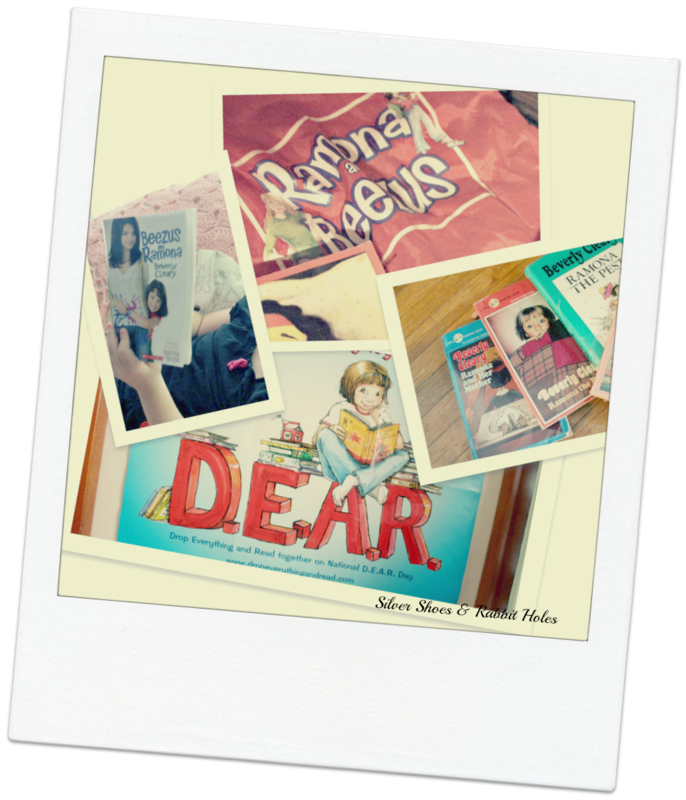 And today is also Drop Everything And Read Day, or D.E.A.R. (If you have ever read Ramona Quimby, Age 8, you might recognize Drop Everything And Read.) There are a ton of downloadable resources and activities on the official website. And be sure and stop by her Facebook page to wish her a happy birthday! illustrated by Helen John. Follet, 1951. What a charming book! I love rosy autobiographical novels like this. And yes, I have more of the books checked out from the library! For those who are unfamiliar with the All-of-a-Kind Family, it is about five little girls, all dressed alike, growing up Jewish on the Lower East Side of Manhattan prior to WWI. This first book is mostly a series of vignettes in the lives of the girls, similar in its simplicity to Little House in the Big Woods - very different subject matter, but if you know your Little House books, you know what I mean. I hope to read these to the girls when we have a little less on our plate - we're still reading three other books at bedtime right now. Delacorte Books for Young Readers, 2010. I'm embarrassed it has taken me this long to read this book. I have a lovely signed hardcover that I bought at my local indie store (while still working at my big box store job). 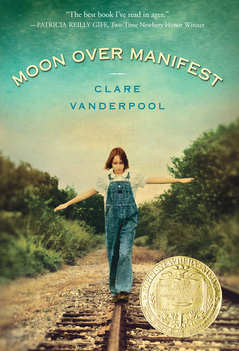 Clare Vanderpool is from my hometown. We actually spoke to each other while waiting in line at a completely separate book signing, but I didn't ask her about her own book - now books, as a new one was published this year - since I still hadn't read it. We're talking the 2011 Newbery Award winner here! And oh my goodness, what a book this is! This is the kind of book that really appeals to me: a historical novel based in a small town, with lots of interesting characters and a young protagonist in search of something. In this case, our young protagonist is a girl named Abilene, sent by her railroading father to live in a tiny town in southeast Kansas during the Great Depression, and what she is searching for is anything to do with her father in the past. The book flashes back to the town during WWI, as a Hungarian immigrant fortune teller spins tales for Abilene about two young men and their ties to the town. I'm not doing this book justice. Have you noticed I'm a terrible book reviewer? Isn't it enough to say, "Here, read this! It's really good!"??? The girls and I finished The Magic Half. We loved it! It's a wee bit scary, which my girls enjoyed, but with a fantastic happy ending. The ending may not make perfect sense if you think about it too hard, but it's about magic (and time travel! ), and magic doesn't really make sense, right? 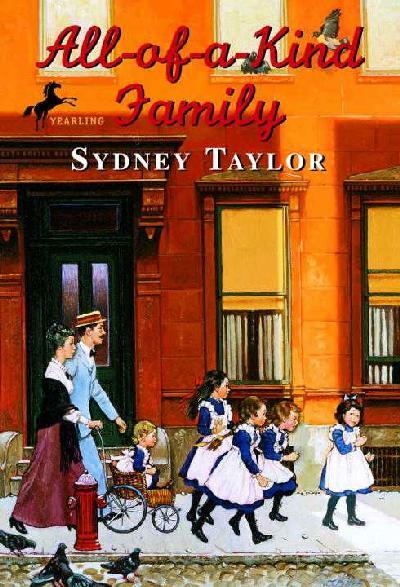 I'm taking a break from kids' books to read An Object of Beauty by Steve Martin, but I have more All-Of-A-Kind family books in my library bag, along with the first four Betsy-Tacy books: I've never read them, either! Anyhoo, Merry Weekend to you! And Happy Reading! Love Beverly Cleary!! Ellen Tebbits, Henry Huggins, Beezus and Ramona, Socks, Leigh Botts...so many dear childhood friends of mine came from her pen. And of course, there is always Emily's Runaway Imagination which is just fabulous (another of those old fashioned girlhood books that are to be devoured)! Alas, I did not make it to the D.E.A.R. event today. I actually tried, but I'm just slow today. I hope other folks did, though. I don't want to hog all the fun reading time! I need to re-read Beverly Cleary. I read The Mouse and the Motorcycle to Big Sis when she was younger, and now she's off reading Ramona on her own. I only remember little snatches here and there. Terrible. I loved Beverly Cleary as a kid. It'll be so fun when my girl can start reading those too! All of a kind family is such a dreamy read! I am also overwhelmed ( not sure if you would describe it that way) by the amount of titles on the must read list. We did that one audio style. It does help to knock a few off the list, while silencing the masses!!! Picked up the Mysterious Benedict Society, it is giant. Very much possible too much to chew.